Warren was off last week, and so he was around last Thursday evening to help man the grill for this light Southwestern themed dinner. 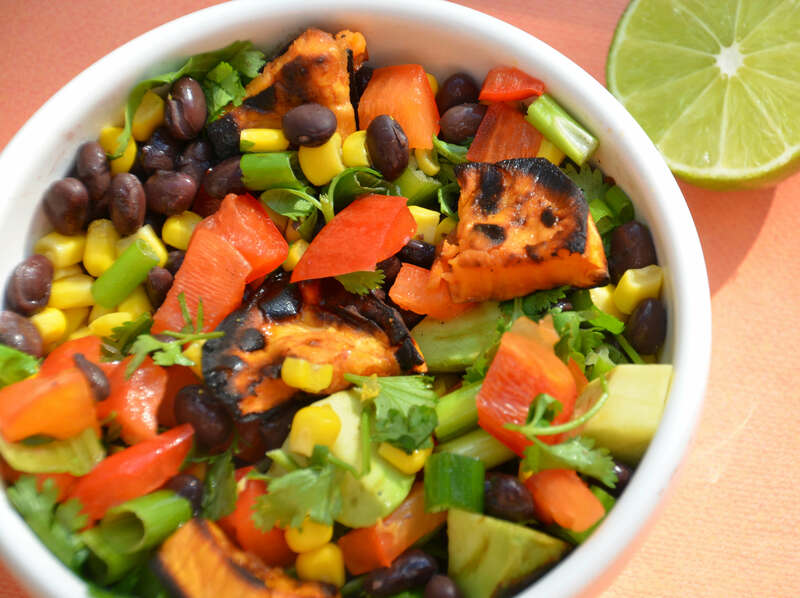 We made this Grilled Sweet Potato Salad from the adorable food blog, two peas & their pod. It was absolutely delicious, although next time I’m going to add some jalapeños to add a little kick! 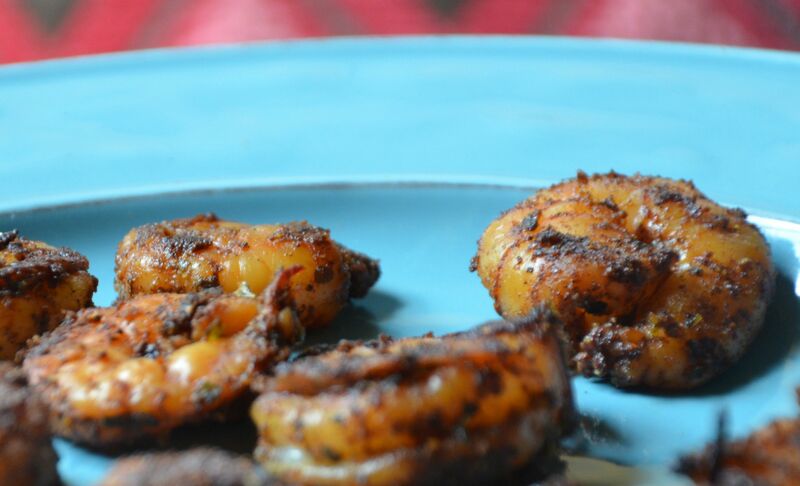 We also made these incredibly easy chili-rubbed shrimp that I learned about last year when my mother in-law Carolyn and I took a seafood cooking class at Sur la table. These take two seconds to prepare, and they never disappoint. I originally tried to round out our meal with a healthy cornbread, but after trying two different light cornbread recipes that were awful, I opted for a honey cornbread from Cook’s Country. It was pretty good, but I’m still on a mission to find a fabulous cornbread recipe. I think the SJS cafeteria spoiled me with their overly sweet cornbread muffins – if frosted they could probably be cupcakes.